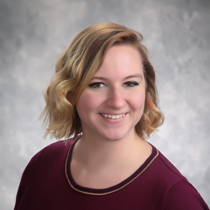 Kelsey McLean | Quality Production, Inc.
A recent graduate from Le Moyne College with a bachelor’s degree of arts where she learned most of her editing and skills though the communications program. Kelsey first discovered her passion for videography in high school by creating and editing several video projects. In her free time, Kelsey also enjoys spending time with her cat and finding outdoor activities as well as traveling.